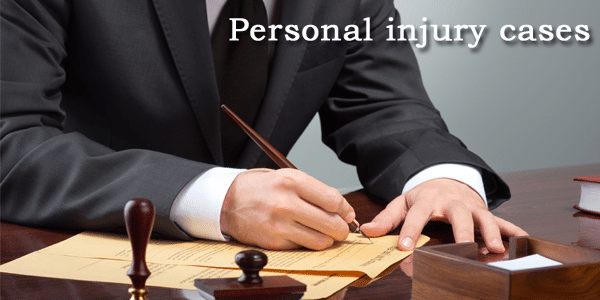 Personal Injury Basics - What Is a Personal Injury Lawsuit? Personal Injury Basics – Today’s Guest blog is by The Percy Martinez Law Firm in Miami Florida. A personal injury is when an individual is hurt and suffers an injury during an accident or another person’s negligence acts. A person can experience a personal injury through several events like vehicle accidents, medical malpractice, slip and falls, equipment malfunctions, cruise ship accidents, and during many more circumstances. When a person is injured, they can seek a personal injury claim if a party is found to be negligent during their acts or omissions. A personal injury case is when two parties have legal disputes about the injury in question. There will be a plaintiff and a defendant in the case. The plaintiff will have to show how the defendant was negligent and how their negligence led to their injury. A personal injury case is done through a civil court preceding where the judge or jury will find the party either legally responsible or not. However, the majority of personal injury cases never even make it to trial because a settlement is made before. In other words, a plaintiff can resolve their case either through a formal lawsuit, or an informal settlement. Personal injury is composed of many elements and laws, depending on what type of injury a person has sustained. Every personal injury case will have different statute of limitations, laws, procedures, possible guilty parties, compensation, among other things. Seeking for the personal injury lawyer can be tough, especially when a victim is unfamiliar with any aspects pertaining to law. Percy Martinez Law Firm can help their clients understand their rights regarding the specific personal injury that they have sustained because they specialize in many areas of personal injury. What is Formal Lawsuit and an Informal Settlement? Formal Lawsuit: During a formal lawsuit, there will be a civil complaint filed by the plaintiff against the defending party. Civil complaints are unlike criminal cases because they involve two individuals, not the government. A complaint can be filed not only against a person, but it can also be filed against; an agency, a corporation, a business, and any other party who attributed to the plaintiff’s injury due to their negligent acts. When a plaintiff brings on this claim, it is known as “filing a lawsuit”. The plaintiff and their lawyer must show the burden of proof that the defendant was negligent; and that their negligent actions were what led to the plaintiff’s injury that resulted in damages. Informal Settlement: Informal Settlement: As mentioned before, the vast majority of personal injury cases never reach trial. These cases are usually resolved through an informal settlement. Both parties will negotiate on a specific amount of money that the plaintiff would like to receive for their damages; and that the defendant agrees to give. At this point, both parties will have a written agreement stating that the money given is for the injury that was caused. That being said, the plaintiff would not have the legal right to file a lawsuit against the defendant; after accepting the settlement. A person who has fallen victim of a personal injury can seek a personal injury lawyer to assist them with their case. A victim can find an experienced personal injury lawyer by contacting one of the Percy Martinez’s Law Firms.